Occasionally I get a request for projects that are a little outside the “norm”. This could be a design feature, a specific challenge related to the project or really any number of other factors that make some projects more unique than others. From time to time I will showcase those projects in a series called Project Spotlight. Hope you enjoy!Last fall I had the pleasure of meeting a couple who recently moved to Louisville. 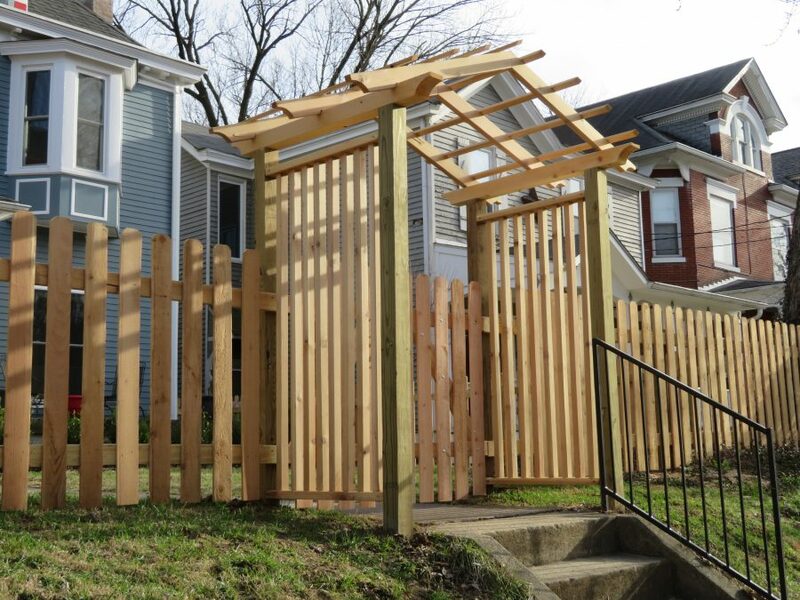 She always wanted a picket fence around her home and was now ready to make it happen. 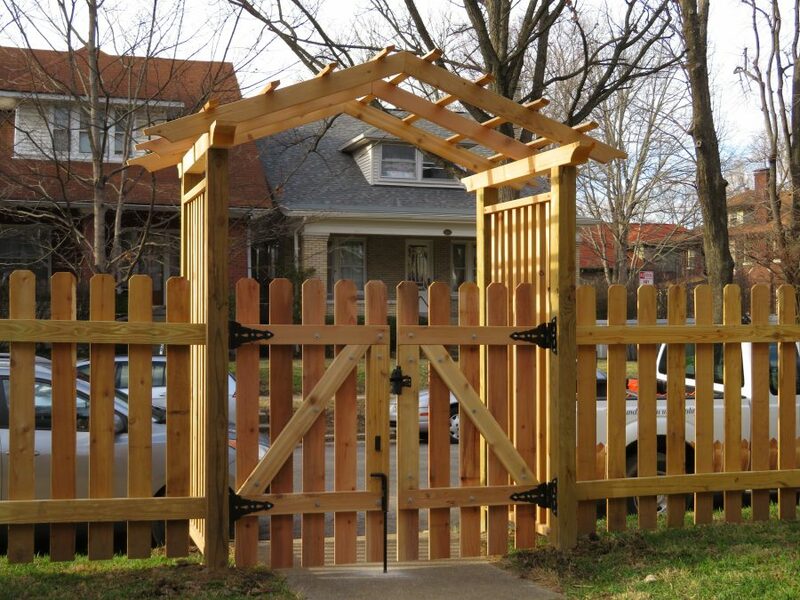 As we discussed the details of the project she was curious as to whether we could add something to the gate. 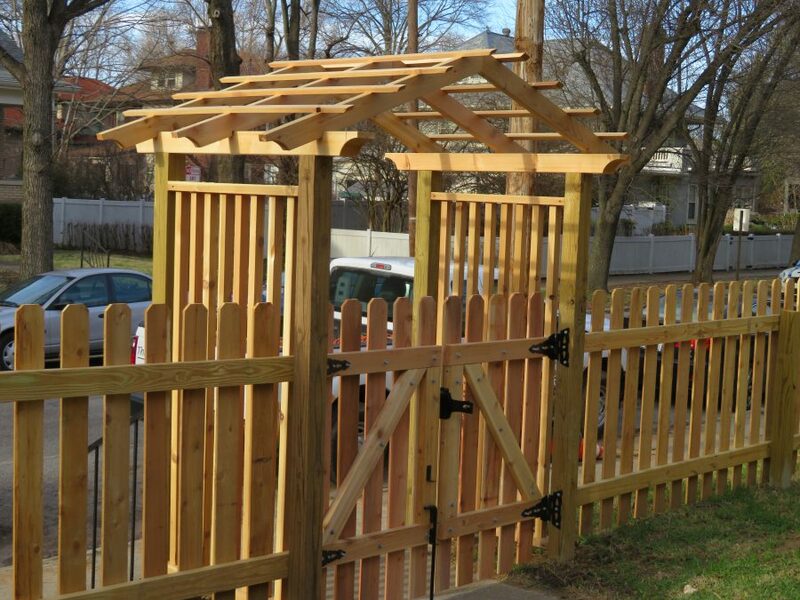 An arbor seemed to fit the bill. It allowed for a more defined entryway to the home, as well as creating a space to allow vining plants a place to grow as well as adding color.